Dr. Lipinski started doing cardiology research on exercise treadmill testing at the age of 18 at the Palo Alto VA Hospital during college at Stanford University where he also played Water Polo. He continued clinical cardiology research during medical school at Virginia Commonwealth University in Richmond, VA. Dr. Lipinski took a year between his 2nd and 3rd years of medical school to do a Stanley J Sarnoff Fellowship in cardiovascular research at Mount Sinai in New York City where he helped develop techniques to perform targeted magnetic resonance imaging of macrophages in atherosclerotic plaque. Dr. Lipinski completed Internal Medicine Residency and Cardiology Fellowship in the combined ABIM Research Track at the University of Virginia during which he conducted 3 years of research and earned his doctorate in Physiology investigating the role of B lymphocytes in atherosclerosis. He then completed his interventional cardiology training in 2015 at Medstar Washington Hospital center and continued his research. He served as an interventional cardiologist and cardiovascular intensive care unit attending physician at Medstar and was Scientific Lead for Preclinical Research at Medstar Cardiovascular Research Network. Dr. Lipinski has authored or coauthored 14 book chapters, well over 100 peer-reviewed manuscripts, and serves on Editorial Boards and as a reviewer for numerous medical journals. 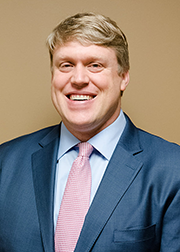 Dr. Lipinski's clinical interests include interventional cardiology, atherosclerosis, coronary artery disease, acute myocardial infarction, inflammation, immune modulatory therapies for cardiovascular disease, and genetic vascular diseases. When not at work, Dr. Lipinski loves to go swimming with his beautiful daughters Sophia and Josephine and his wife Shawn. He also loves to cook and play chess.